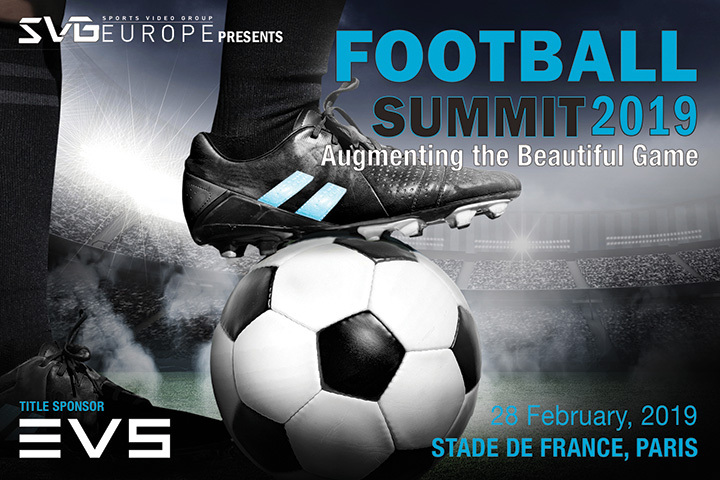 SVG Europe is pleased to announce that its first event of 2019, the annual Football Summit, will take place on Thursday 28 February at Stade de France in Saint-Denis. The themed conference programme features sessions on Spain’s LaLiga and the upcoming FIFA Women’s World Cup in France, an augmented reality showcase and a match directing masterclass. As with all SVG Europe events, the Football Summit will also include ample networking opportunities as well as a ‘behind the scenes’ tour of the Stade de France. The full programme, billed as ‘Augmenting the beautiful game’, is currently being finalised with all speakers due to be confirmed shortly. Last year’s Football Summit in Paris attracted nearly 300 people, including delegates from FIFA, UEFA, Sky Sports, BT Sport, Perform Group, Premier League Productions, IMG Media, Sky Deutschland, Host Broadcast Services, Fox Sports and more. To discuss sponsorship opportunities at the Football Summit, or any other SVG Europe event, contact Clare Sturzaker or Nicky Lane.